Releasing the Magic! : THERE IS NO SUBSTITUTE FOR HARD WORK... PASS IT ON! 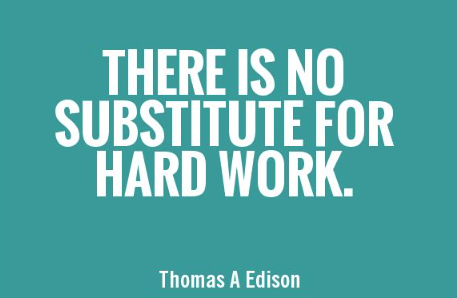 THERE IS NO SUBSTITUTE FOR HARD WORK... PASS IT ON!